According to a December 6, 2017 story in Newsweek that cited data from the Energy Information Administration, transportation has surpassed power plants as the leading contributor to greenhouse gas pollution. Greenhouse gases work to trap and hold heat in the atmosphere, which ultimately leads to increased heat and climate change. Look no further than the horrific wildfires California has experienced this year – first in October in wine country and now, more recently, around Los Angeles – for evidence of how climate change is drastically impacting the state. Dryer temperatures in California due to climate change have essentially extended wildfire season deeper into the fall months. If the bill were to pass, California residents would still be allowed to drive gas-powered vehicles that they own come 2040, but any subsequent vehicle purchases after 2040 would have to comply with the legislation. Yes, it’s good to eliminate the causes of greenhouse gases – but is eliminating gas-powered vehicles the right way to do it? California already has a mandate in place where gas-powered vehicles will be required to hit 54.5 miles per gallon by 2025. This mandate alone is incentive for California consumers to purchase electric and hybrid vehicles in the state, whether it’s now, next year or in 2025. 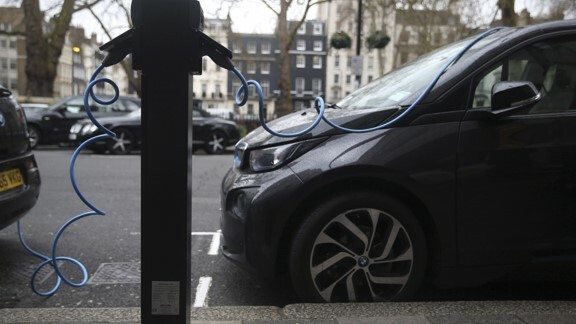 The thinking from Ting is that by passing this legislation today, it gives automakers plenty of time to go all in on electric vehicle technology as a means of making it mainstream 20 years from now. So, would a bill such as this be a good idea in California? Our answer is “no.” And that’s not necessarily because it’s a bad idea, it’s just not likely to make a significant impact on the reduction of greenhouse gases unless it’s passed nationwide. That’s the problem with a bill like this: While it has good intentions, reducing greenhouse gas emissions in California is only eliminating a small sliver of emissions. Unless the other 49 states were to follow California’s lead, or the federal government were to initiate a similar mandate, this bill would do nothing more than divide California residents. What’s more is that automakers would be put in a strange bind as well, having to develop cars differently for one state than they do for the rest of the country and the world. Our advice to California is to stick with the already ambitious goal that you have in place to get gas-powered vehicles to 54.5 mpg by 2025. Perhaps even introduce a special buyback program then that would give consumers driving outdated cars incentive to purchase a new, more efficient vehicle. That’s a great start, and you don’t need to attend a CA online traffic school to see how much that can impact things. After that, we suggest seeing if any other states follow your lead to enact a similar mandate. If there seems to be a good response, then this issue of banning the production and sale of gas-powered vehicles by 2040 becomes relevant again. Bottom line: Bring this issue up again in 2025. By then, there may be a renewed commitment to sustainable transportation, not just in California, but throughout the country.